Hi everyone! So today I'm going to be sharing some self care ideas! I'll admit, I generally don't have much time for self care in my life. Most of my schedule is full of schoolwork and other activities but when I get a chance , I love a good self care night! I think it's so important to take care of yourself so I've compiled a list of little ways you can fit self- care into your everyday life! Going for a walk can literally be SUCH a mood booster. Even though it's ALWAYS COLD where I live once I'm nice and wrapped up a walk can really lift my spirits! There is nothing like a good book to take a break from the real world. It can let you lose yourself for a little while which is sometimes needed. I'm not personally a fan of tea (don't kill me in the comments!) but I do love a hot drink every now and again! It can be so relaxing! There's nothing like sticking on my playlist to raise my spirits! Sometimes all we need is a good bop to get our minds back on track! 5. Face time a friend and have a nice chat! I know for me personally, the times when I feel down in the dumps is when I'm on my own for too long! Sometimes talking to a friend can make your day 1000000 times better! I actually don't use face masks because I have super sensitive skin but it makes me super jealous to see all my friends snapchat stories of them chilling with a sheet mask on. Beauty related self care tends to raise my confidence so much! Ah, the classic self care stereotype, although I think it's safe to say there's a reason for that! A bubble bath is both fun and relaxing! Ok, MASSIVE DISCLAIMER: I am by no means saying that you have to shave your legs and everyone should do what they're comfortable with but PERSONALLY I love shaving my legs for a little confidence boost! This one is pretty self explanatory but I need show/movie recommendations so please tell me some in the comments! Same as the shaving makeup is a personal choice but I think it can be really fun to get creative with makeup when I'm bored! Nostalgia is such a lovely feeling! I love to reflect and look back so this can be a really nice thing to do sometimes! 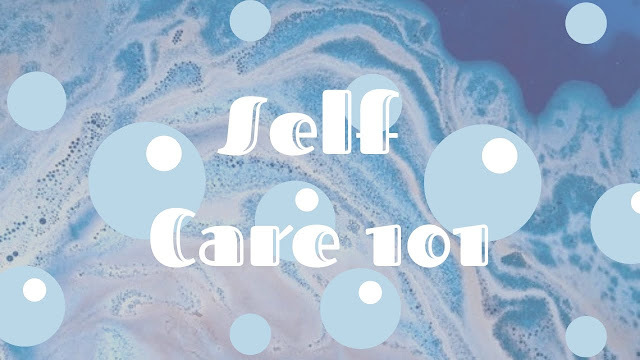 This is another classic when it comes to self care, there's so many youtube videos about this which can be so handy when you need a breather! This is a bonus one because you get a nice treat afterwards! Also if you need some ideas check out Rachel's nutella mug cake I haven't had a chance to try this yet but it looks yummy! Sometimes a bad mood can really be down to lack of sleep so a nap is a great way to destress! Whether you prefer a bullet journal or a spill your feelings onto a page journal this can be soooooo lovely to just chill out! I'll be the first to admit I am AWFUL at this but on the nights when I have actually gone to bed early (which are few and far between!) I always wake up much happier! I love reading blog posts! Some people are just such talented writers that it can be lovely to just sit and haev a read of their blog! Kind of the same concept as the last one but some people are great video creators and it can be nice to appreciate something someone has put a lot of work into! Sometimes we can forget to think about the things we love but it can be such a nice thing to do! So there you have it! I hope these ideas are useful if you're planning a self care evening! Anyways I hope you stay happy and healthy! Thank you so so so so so so so so so so so much for reading! Ugh I know! Razor bumps are the worst! These are some great ideas. I love going for a walk and it's amazing how good shaving your legs can make you feel! I know right? Thanks for reading! This is such a great list! I love chilling out with a good book and forgetting about everything else for a while! I really enjoy walks too but at the minute its so cold! Hahaha even thinking about it is making me want to go to the kitchen and make some now! I know right?! It feels so good! These are some great tips! I love shaving my legs, it really does give you a confidence boost! That list is great. Thank you for sharing.